Dr. Medha Singh is a part time faculty in Periodontology Harvard School of Dental Medicine, Harvard University. She was an Assistant Professor at Tufts University School of Dental Medicine. She is a Diplomate of the American Board of Periodontology and Academic Fellow of the American Academy of Oral Medicine. Dr. Singh received her Bachelor in Dental Surgery degree from Government Dental College in India. She received her Doctor of Dental Medicine (DMD) degree, Certificate of Advanced Education Program in Periodontology and Master of Science degree from Tufts University School of Dental Medicine. And a Fellowship in Oral Implantology from Harvard School of Dental Medicine, Harvard University. Dr. Singh is a fellow of the American College of Dentists, International College of Dentists, Pierre Fauchard Academy, Omicron Kappa Epsilon National Dental Honor Society, Sigma Xi Scientific Research Honor Society and American Academy of Periodontology Foundation. She is a scholar of the Academy for Academic Leadership and American Dental Education Association Institute for Teaching and Learning Program for Health Professions. Dr. Singh has served as the Chair of the Periodontics section of American Dental Education Association. She has also served as a scientific group and network officer of the International Association for Dental Research. Dr. Singh was an Assistant Professor at Tufts University School of Dental Medicine where she was the periodontal examiner and co-investigator on various research projects in the Division of Oral Medicine and Dental Research. She has worked as a co-investigator on research funded by the National Institute of Health (NIH), USA. Her research was focused on drug therapies for managing periodontal disease in patients with salivary hypofunction and Sjögren’s syndrome. 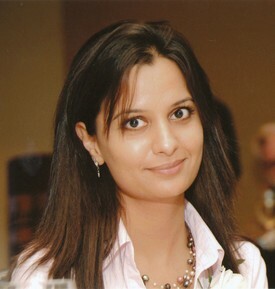 Dr. Singh has presented her research findings at various conferences held nationally and internationally such as American Academy of Periodontology, American Academy of Oral Medicine, American Association for Dental Research, International Association for Dental Research and the International Symposium on Sjogren's syndrome. Dr. Singh has published her research findings in the various issues of the Journal of Dental Research. She has also published book chapters and journal articles on Sjögren’s syndrome. She is a reviewer of the Journal of Periodontology and the Journal of Dental Education. In addition, Dr. Singh has received several national and international awards for her research and scholarly activities and service. In 2010 she was awarded with an international scholarship granted by the International Team for Implantology (ITI) Foundation, Switzerland. In addition to her clinical and scholarly activities, Dr. Singh is an active participant in local community activities and organizations. She has offered her knowledge and skills as a volunteer in underprivileged communities both in India as well as in the Boston area and has served as a mentor and role model to students interested in a career in Dentistry.